While attending DEMO Africa, Microsoft Corp. Today announced strategic cooperation agreements with three incubator organizations across the African continent to enable startups, innovators and Africa’s developer community to grow their skills and build businesses with Microsoft technologies. Under the recently launched Microsoft 4Afrika Initiative, Microsoft has entered into agreements with CcHUB in Nigeria, DTBiin Tanzania and AfriLabs, the pan-African hub network. The cooperation aims to offer the communities working in these hubs increased access to software, skills development opportunities and a means through which innovative startups can access capital investment,benefit from international outreach and scale their businesses to the world through Microsoft’s cloud computing solutions. The Co-Creation Hub, or CcHUB as it is commonly known, is Nigeria’s first innovation lab and pre-incubation space designed to catalyze creative social technology ventures. It is a place for technologists, social entrepreneurs, government and investors in and around Lagos to co-create new solutions to address business opportunities and social needs in Nigeria. The Dar Teknohama Business Incubator, commonly known as DTBi, is a registered and autonomous entity established by the Tanzanian Commission for Science and Technology to promote information and communication technology (ICT) innovation and entrepreneurship, contributing to job creation and enhanced economic health in Tanzania. AfriLabs is a network organization that connects incubator hubs across the continent, in orderto promote the growth and development of the African technology sector. AfriLabs has 20 member organizations in Cameroon, Egypt, Ethiopia, Ghana, Kenya, Liberia, Madagascar, Nigeria, Senegal, South Africa, Uganda and Zambia. Support the startup community with Microsoft BizSpark memberships and access to business networking and capital investment opportunities. BizSpark is a global program that helps startups grow into successful businesses through software support and a vibrant ecosystem that delivers exceptional business advantage. Enable developers to access the latest events and workshops on Microsoft’s newest development technologies through relevant community events. Provide Microsoft devices, including Windows Phones and Windows-based tablets, for testing applications and other software developed by the local IT communities. Enable them to benefit from the 4Afrika Internship program, which will provide them access to the pool of talent graduating as 4Afrika interns as potential hires for their own facilities. Enable them to benefit from the 4Afrika Volunteer program, which will provide themwith access to the pool of Microsoft employees volunteering in Africa as visiting trainers and mentors at their own facilities. In addition, the partnership with AfriLabswill support the development of sustainable and scalable working environments across the continent, such as technology hubs and incubation centers, to stimulate entrepreneurship and support African startups. Microsoft will work with Afrilabs to help startups working in these hubs to become successful technology companies driving innovation, employability, competitiveness and growth in Africa. The Microsoft 4Afrika Initiative is designed to help Africa improve its global competitiveness. 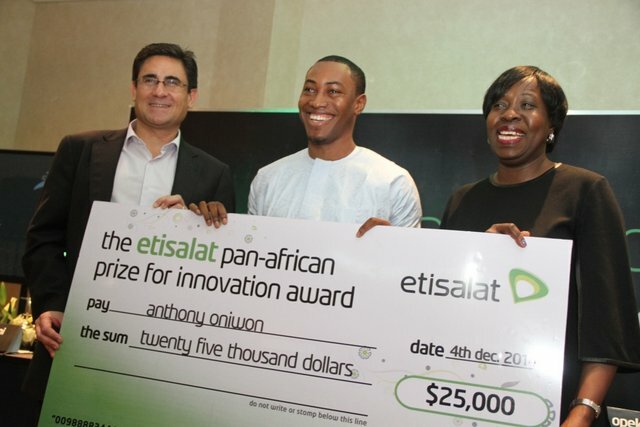 By 2016, various 4Afrika efforts spanning the continent, such as these new collaborations, will help place tens of millions of smart devices in the hands of African youth, bring 1 million African small and medium-size enterprises online, upskill 100,000 members of Africa’s existing workforce, and help an additional 100,000 recent graduates develop skills for employability, 75 percent of which Microsoft will help place in jobs.